We all need love, right? I love a few things in life. Aside from my beautiful wife and her kids she claims are mine, my other great loves are biking and beer, or beer and biking. Now, in St. Louis it’s impossible to have one ‘favorite’ brewery, but I do have one favorite bike shop. I’ve been buying bikes from Mike Weiss and Big Shark for 20 years. They are my bike shop. 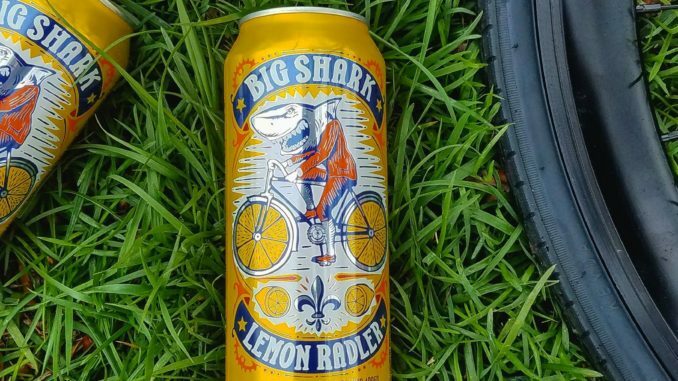 So, when I learned that my favorite bike shop was teaming up with one of my favorite breweries, I think I may have teared up a bit. Really. A tear was shed. 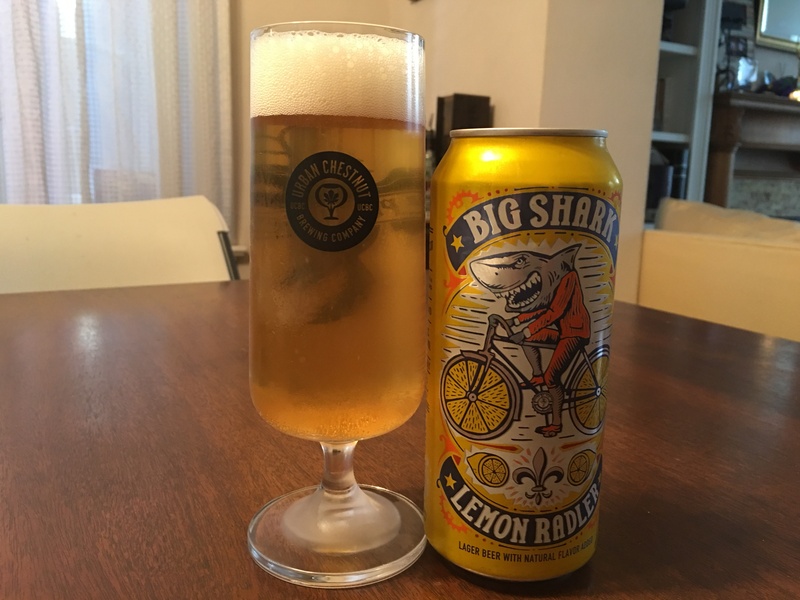 Big Shark Lemon Radler is designed for drinking during or after a ride, so it’s not a heavy beer, clocking in at a respectable 4.2% ABV with a barely noticeable 10 IBU. This beer pours a nice, mostly clear light orange-yellow, with just a touch of haziness. On the nose, the beer explodes with a burst of lemon but sits back and on your first sip, you’ll get all the wonderfulness of the pure Zwickel lager and the no-nonsense of the lemon soda. The soda isn’t hidden here, it isn’t folded underneath and it doesn’t disappear quickly. It is like you poured a lemon soda into a lager, and if that isn’t your thing, then this isn’t for you.